So what is a Mini? It's basically a small economy car that is known for its speed, extreme drifting, and unique look. 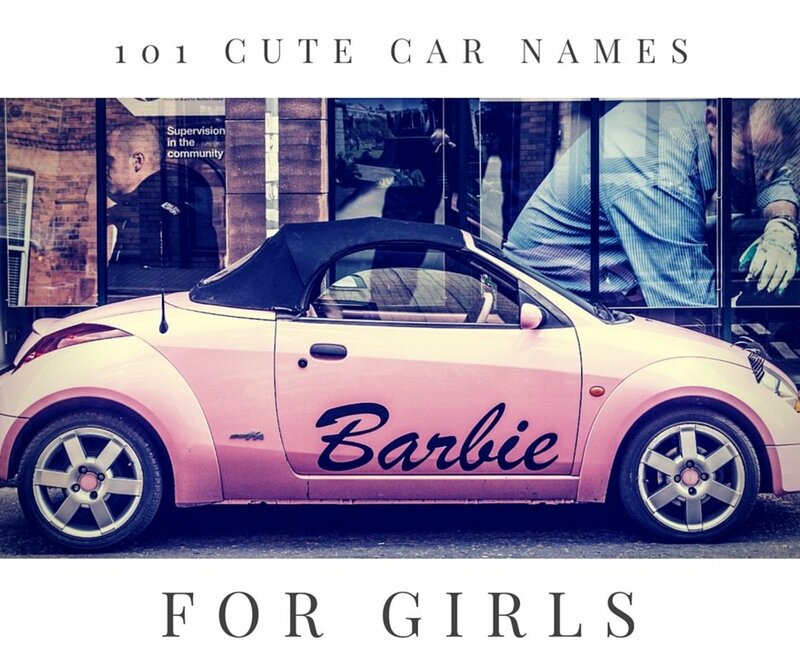 There have been various types of Mini cars over the last several decades, but their popularity has surged because of their availability almost all over the world, their unique look, and their race car-like quality. Mini, which is owned by BMW, is recognized at making some of the most popular small cars. 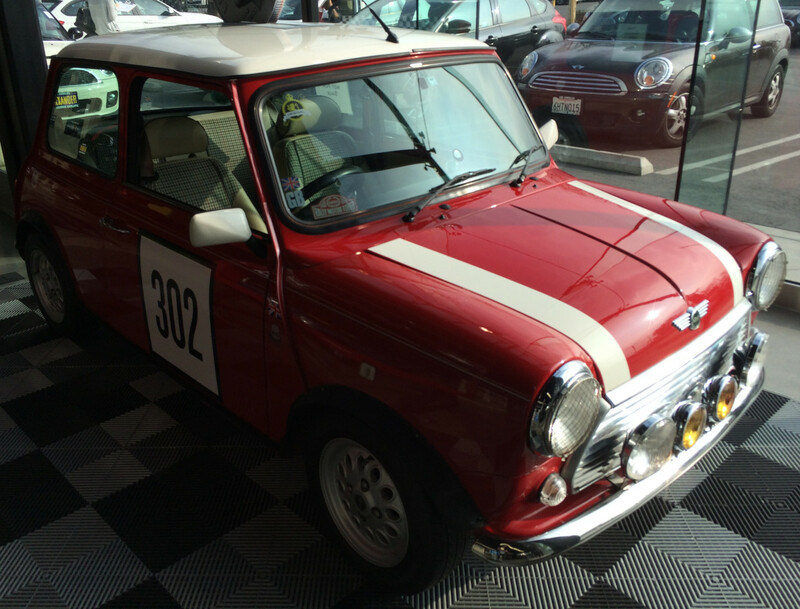 While the Cooper is the most recognized model, there are other cars from Mini to choose from. I have owned a Mini Cooper for four years. 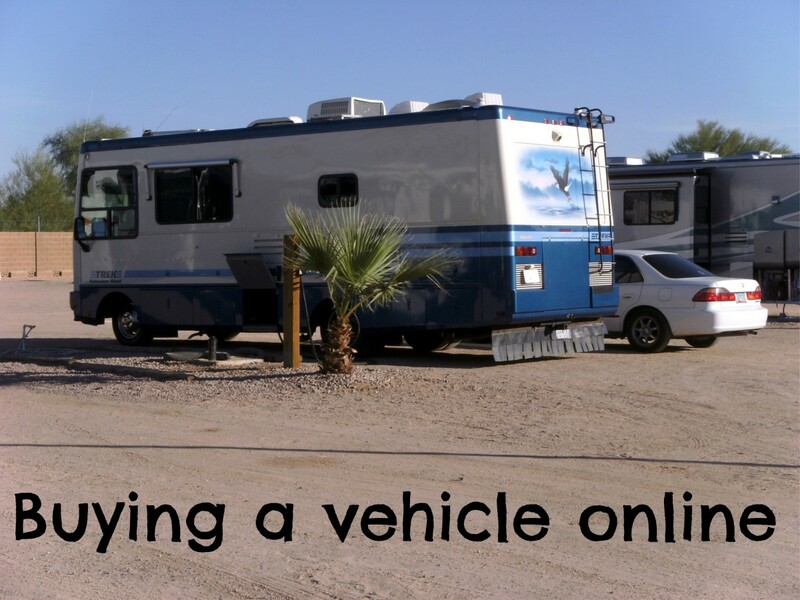 I thoroughly researched the brand before buying it, and I did not want to write an article until I felt experienced and knowledgeable about what vehicle had to offer. 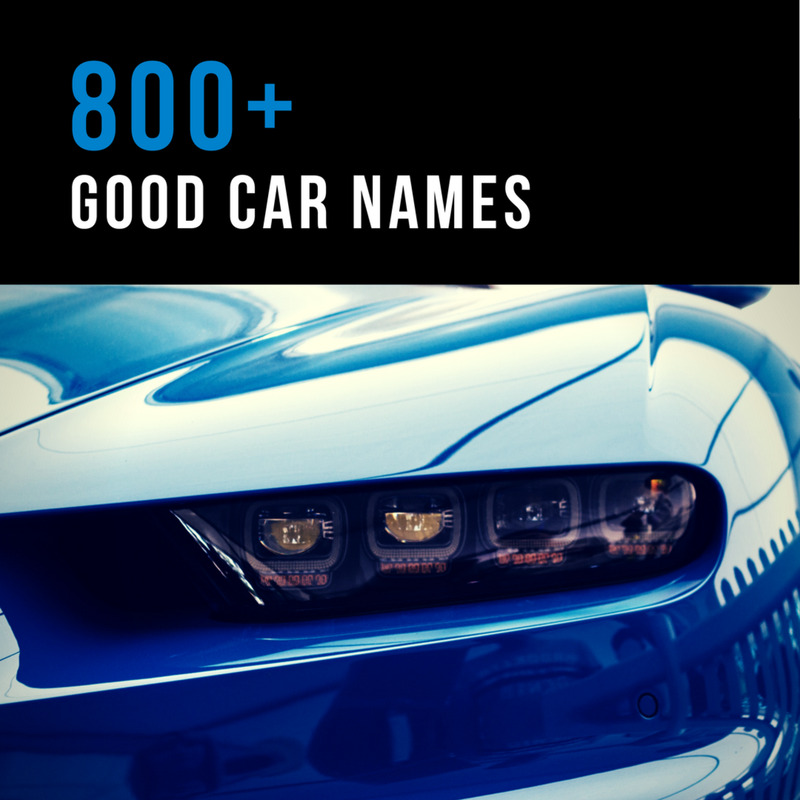 This article will cover my experience owning this car. I will go over its pros and cons as well as go over the current models offered by Mini. I'll start with the positives as to why you should own a Mini brand vehicle. Fun to drive. The main reason I wanted a Mini was because they looked so fun to drive. Once I got behind the wheel, I knew it was a good choice. They can quickly go fast, make turns without a problem, and can practically park anywhere. A don't really care to drive, but when I do, I want it to be in a fun car. Of all of the vehicles I have owned, the Mini has been the most fun. Customization. When I was first shopping around for a Mini, I went to their website to play with the various options I could have on the car. A cool thing about this car is that you can customize it almost anyway you want. Not only does the Mini stand out among other cars, you can make your own Mini stand out among identical models. Affordable. If you choose not to get any options, this can be a very affordable car to buy. Granted, having some of the neater options are nice, they are not required. Less frequent maintenance. A Mini doesn't need an oil change or regular maintenance done every few months like other cars. Instead, you can go two years before having the car checked out. With the standard three-year warranty, you can take it to a Mini dealership for it's first maintenance. However, I like to get my oil changed sooner somewhere else just so it can have clean oil. Great gas mileage. Even though these cars use premium gas, it does offer decent gas mileage. I only have to fill up my tank once a month, and that is driving to and from work as well as other places around town. I can do about six to seven hours of solid freeway driving before needing a fill-up. High resale value. 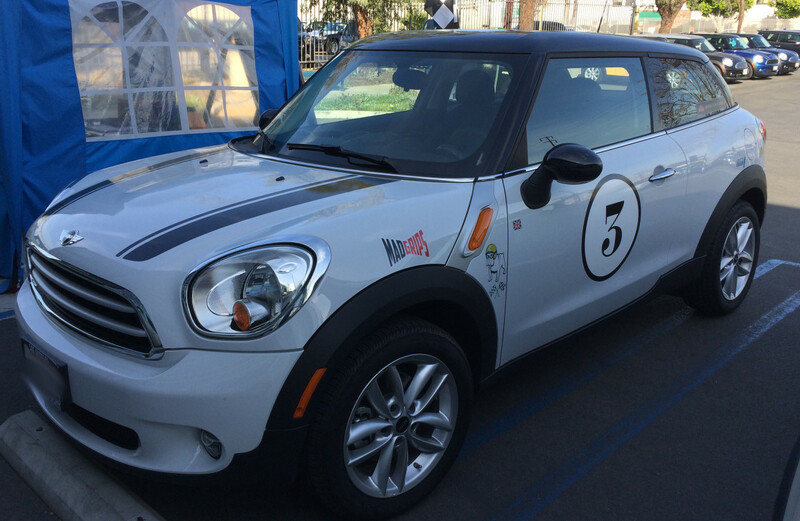 A Mini brand car has a pretty good resale value, assuming the car is in great shape and has no problems with it. If and when you decide to get rid of your car, you will earn more back than what you would with other vehicles. I tend to change cars every five years, and while I may not with my Mini, having a high trade-in value is definitely a bonus. How Much Is a Mini Cooper? Here are the MSRPs of the 2019 models of Mini Coopers, as well as the prices for the various other models offered by the brand. Unfortunately, there are cons to buying and owning a Mini as well, some of which I have experienced personally. Can be expensive. If you want to get multiple options, then the price of this car can skyrocket. With all of the options I wanted, the price of my vehicle jumped by over 30%! Granted, it was worth it, but it made it the most expensive car I have ever owned. So be prepared to spend a lot of money if you want various options to make your car unique. Dealerships aren't everywhere. In my case, the closest dealership is about an hour and a half away. It is certainly a pain to drive to. I am lucky that I have one that close. Other people may have to travel hours to get to a Mini dealership. If you do buy a car, then ensure that you learn about your warranty. The flatbed service they offer to pickup your Mini is only for a limited area, and even getting a rental while your car is being repaired can be limited in how far you can drive it. Maintenance can be expensive. Once your car is out of warranty, all repairs will need to be covered by you. There are extended warranty options, but those are expensive as well. Despite Mini brand cars becoming more common, the repairs can be very expensive. So if you purchase one, be prepared for that if your car starts to have issues. It's a small car. I went from a sports car to a Mini, which to me was a big jump in size. A lot of people complain that these cars have very little storage space. It's not meant to be a family car, it's meant to be a fun car that can barely fit four people. I can hold a lot in my car, it just requires a bit of effort. However, the more expensive models have more space. Uses the most expensive fuel. Despite the decent fuel economy, the Mini does require premium fuel. You can use the cheaper types of gas, but it won't be great for your vehicle, and it will require more fill-ups, so it's strongly discouraged that you do that. Non-Mini dealerships won't do a good job servicing your vehicle. I took my car in to a local repair shop to deal with a couple small issues, as well as get an oil change. They couldn't fix the issues I had with my car, and missed a very critical issue that my dealership found months later. So don't rely on a non-Mini dealership/repair shop to take good car of your vehicle. The Mini Cooper is a fairly reliable vehicle, but it does have its share of common issues. Here are some that can be frequently seen. Clutch Failure: This was a fairly common problem with first and second generation Mini Coopers. The usual cause was hard driving, and it could occur as early as under 20,000 miles. Transmission Failure: The first generation vehicles were notorious for an automatic transmission that would routinely fail. A lawsuit actually forced BMW to offer a warranty specifically for the transmission. The coverage was for eight years or 150,000 miles, whichever came first. Water Pump and Thermostat Housing Leak: The water pump leaking on the first two generations of Minis was a fairly common occurrence. They often had to be replaced at over 50,000 miles. The thermostat housing in the second generation models were made of plastic. This would naturally break down over time. Radiator Support Problems: The radiator support is made of plastic and is located in a low spot on the front of the car. It is very delicate and can be damaged by hitting a low curb when parking. Electric Power Steering Pump Problems: The electric power steering pumps were prone to failure, enough so that BMW ordered a recall. The main cause of the issue was either low power steering fluid or the malfunction of the electric cooling fan. I'd like to offer some of my own experience buying a Mini, just to give you a taste of what I had to go through. I had wanted this car for years. I did a lot of research before deciding to buy one. I actually had to go to three dealerships before I finally purchased my car. I will cover each experience with each dealership. Dealership #1 - I was on vacation one week and decided to make the two-hour drive to test drive a Mini. I arrived at the dealership and felt like I was more of a pain since I wasn't buying at that time. I was given a short test drive and was sent on my way. That thoroughly discouraged me and I stopped looking for awhile. Dealership #2 - I decided I would buy a Mini, despite my negative experience, but it took months for me to get to that point. I made an appointment with this dealership to test drive a vehicle. When I arrived, I was advised there were no automatics to test drive, as they were all still "wrapped up." They had a lot full of cars, but none of them were automatics. The salesman had the gall to state I could still make a down payment on a car, even though I hadn't test driven the one I wanted yet. I walked out as I was very upset. Dealership #3 - Even though I was upset, I was close to another dealership. I made the short drive to that one. The salesman was very nice; I was able to find the car I wanted, and I purchased it that day. It was a great experience, it was just a shame that it took three attempts to find a good dealership. So now I owned a Mini. I had a couple small issues with it. It was nothing too bad and nothing that warranted taking it back to the dealership. I did take it in to a local place after a couple years to have the oil changed and to look at a minor issue. Unfortunately, they couldn't fix it. I recently took it in to my dealership to get full maintenance done on it, as well as have some issues looked at. Unfortunately, it was going to take more than a day, so I was given a rental and would have to go back the next day. By the time I arrived the next day, it still wasn't done. I basically wasted two days on getting the car maintained, but it was worth it. There was an oil leak, which is apparently common in Minis, but for whatever reason they don't tell people that or do a recall. Had it been ignored, especially since the local repair shop didn't find it, it would have crippled the vehicle. There were some recalls as well, but for whatever reason, I was never notified of those. Despite all of that, I was pleased with the service. They talked to me throughout the process, and for the first time ever, I was taken back to my vehicle where the mechanic explained some of the repairs to me. Even the mechanic was friendly. So despite the issues I had having to take two days off work to get this done, I was happy overall with the experience. I love my Mini, it's the best car I have owned. I am concerned about any future repair costs, but I think if you take care of your car and have a Mini dealership look at it directly, then there shouldn't be many issues. I recommend this car for anyone who wants something fun and exciting to drive. I eventually traded in my Mini. Once the warranty expired, I didn't feel comfortable owning it since I did not have a local dealership close by to service the vehicle. I do miss the vehicle and will probably pick one up again if a dealership ends up in the same city I live in. After reading everything, do you still want a MINI? These are the models that have been offered by Mini. 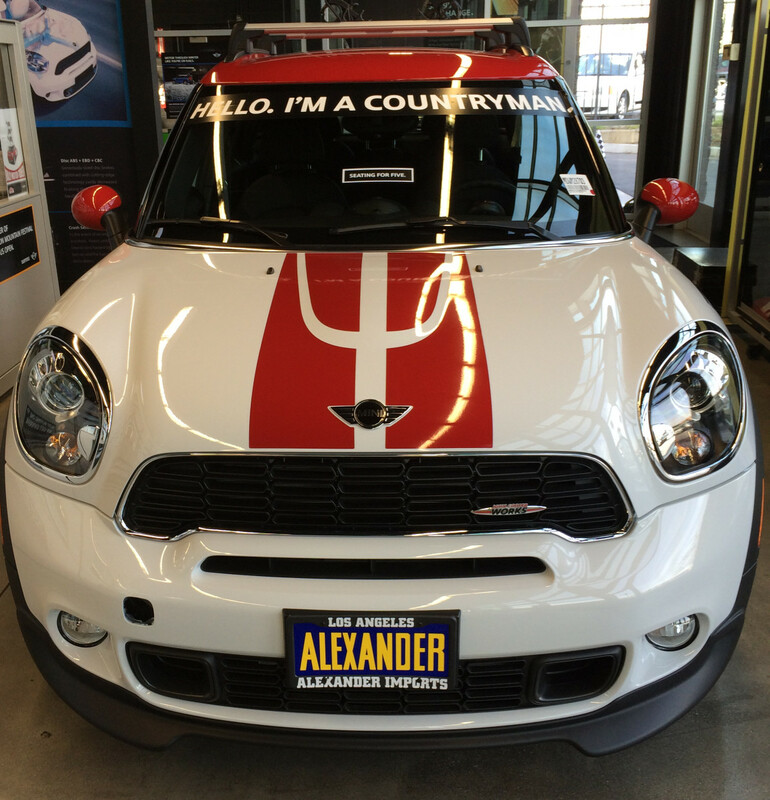 Cooper - This is the hardtop Mini, and it's the most recognized model. It's considered the basic, and cheapest, model. This is the model that started the craze for the brand. 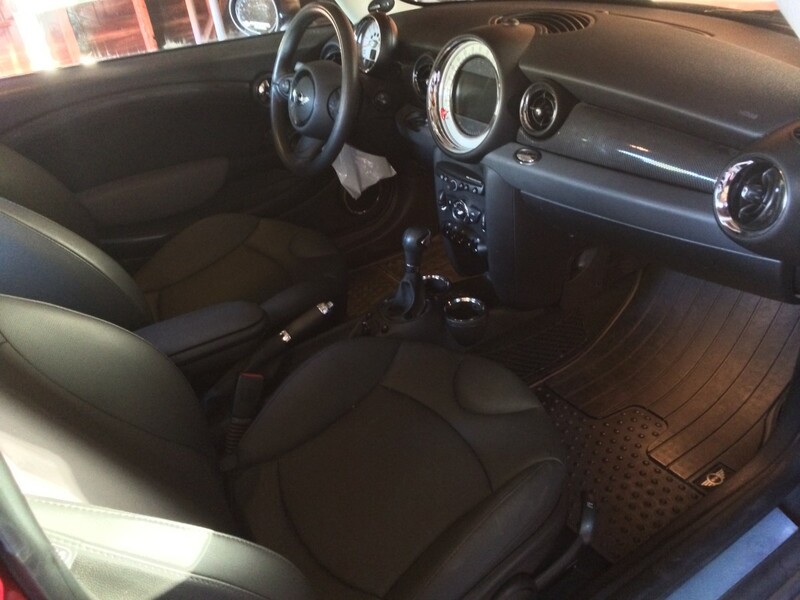 Clubman - This is basically a longer version of the Cooper, allowing for more legroom. It has a different method to open the trunk. If you want more space, this is the way to go. Convertible - If you live in a nice place, then the convertible version is the way to go. The top goes down nicely, and it seems to be a popular model among celebrities. Countryman - This could be considered an SUV. This is the first model to have doors for the front and backseat passengers. It can also have four-wheel drive. Coupe - This is the fastest of the models. Unlike the other models, this one has quite a distinct look. Expect this one to be a tight fit. This model was discontinued in 2015. Roadster - This is basically the convertible version of the Coupe. This model was discontinued alongside the Coupe. Paceman - Another cross-model, this is the two-door version of the Countryman. Production for this model ended in 2016. John Cooper Works - You can choose to upgrade to the John Coopers Works edition of most of the Mini models, but it comes with a high price tag. If you want the best engine, you can go with this. What Model MINI do You Want? What model of MINI do you want the most? Is it worth it to buy a second-hand MINI rather than new? That's hard to say. I know one person who has a MINI that has lasted for a long time, while mine was having recall issues. It depends on the price. Get a report on the vehicle as well. How does a mini handle in the snow? Deep snow may cause an issue because of the low clearance. There is also a concern about those tough up hills. However, it will greatly depend on your choice of tires. If you live or plan to go someplace snowy, finding tires good for that will be your best bet. Since they are great at turning, you'll want to be careful you don't turn yourself into a spin either. Could I bring a Mini to a BMW dealership for maintenance and repairs? Call a BMW dealership up and check if they will service a MINI. My local BMW dealership could not service my MINI. Even if they say they will verify that they will accept your warranty just in case it's a warranty issue. Just because they can service it, doesn't mean they will accept the warranty. Does the Mini Countryman model come with a sunroof/moonroof? How important is the AWD vs the FWD? I really don't know, sorry. I just purchased a MINI for the look and feel, I don't know much about AWD or FWD. The comment of long oil life is a contributing factor to many engine problems with the N14 engine. The N14 engine uses a lot of oil and requires a weekly oil check and fill depending on the mileage. You may likely survive low oil levels with other cars, not the 2007 through - 2010 Mini Copper S, and a few other Mini models, that mistake will cause your timing chain tensioner to fail as well as other problems and most likely a ruined engine. Don't wait a year between oil changes! I owned 3 mini's from 2001 to 2014. If u want a fun car to drive get the mini coupe SS. 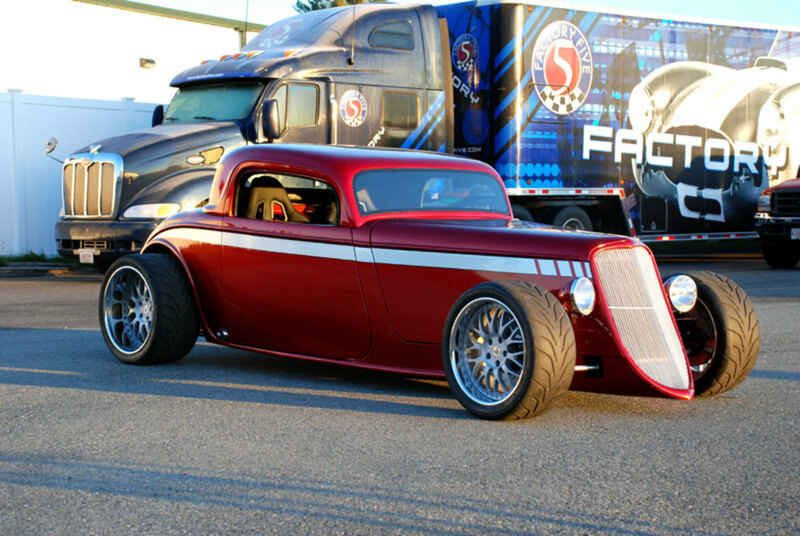 It drives like a "go cart", quick n with great handling. The next best thing to n actual race car. I got older (now 77) so I got i to a Beemer. I know nothing about BMWs, so I can't compare their maintenance to the MINI's. 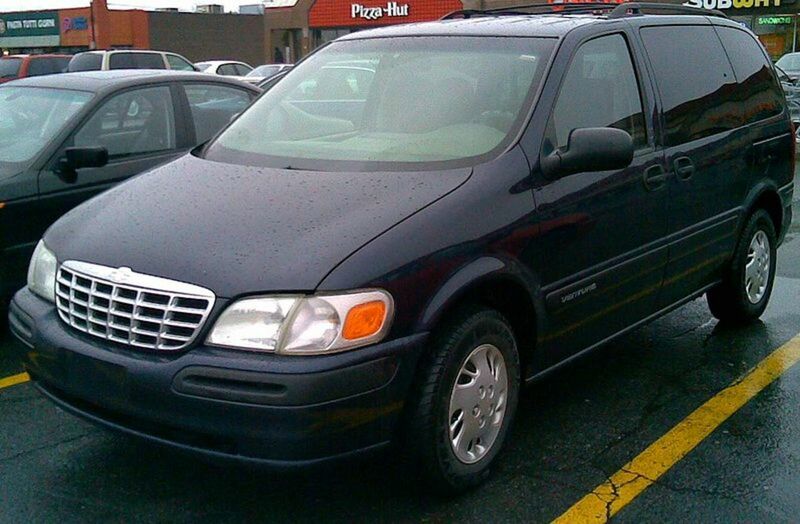 I had a poor experience due to the recalls being issued and distance to get it repaired. If you have someone local, great. I knew someone who purchased a used MINI and it's ran great. It's all luck of the draw. Do you know how the maintenance and repairs compare to the 3 series or 5 series BMW? I have owned 3 of them (used) over the past 15 years and I have loved every one. They have been solid, reliable cars that have required little work. However, when they do need routine work or replacement parts, it is costly. I need a new car and am considering a Mini, but wonder how they compare in this respect,I would be buying a used one and have a fantastic mechanic that only works on BMWs, Minis and Mercedes. Any thoughts on this? I don't know enough about the A250 to offer input on it's engine and systems, however, based on looks alone I don't like it. Plus the cost seems high, as I expected it would be. However, if you are going for reliability, the A250 may be the better choice. It looks like a nice car, and I've always been curious. But with a track record like you mentioned and the expensive maintenance costs, it doesn't seem to be worth it. Glad I came across this article. Yup, despite the issues I had with my vehicle, the dealership was pretty good about explaining everything to me. My last vehicle, a Nissan, the dealership did a bad job explaining things to me and treated me badly. Just curious and had to ask, is this true? This was the first time you had ever been back into a shop and had a mechanic show you what he was doing? It almost sounds too good to be true. MINI is a great car if the reliability is there. You better check the fine print. Looking into purchasing a used mini countryman. Happy to say there is a dealer not far from me. They offer a life time warranty on the engine & transmission. Was wondering if that sounded like a good deal? I think the Paceman is great. The one you are considering is used, so hopefully you'll be able to find out if it had any issues. Oddly enough, I considered a Mustang once, but made the switch to a Camaro. I am considering a Paceman JCW all4 2013 with only 39k miles. it looks and drives likes new. After owned several Mustangs 1989, 1990, 1992 five .0 liters and 2000, 2001 and 2002 GTs 4.6 litters. Yes, as it's a great car, but only if you have a dealership nearby who can service it. would you recommend a mini as a first car? No idea if that's a good price or not. Some have good experiences with used vehicles, some don't. All depends on how the car was treated and what's been done to it. 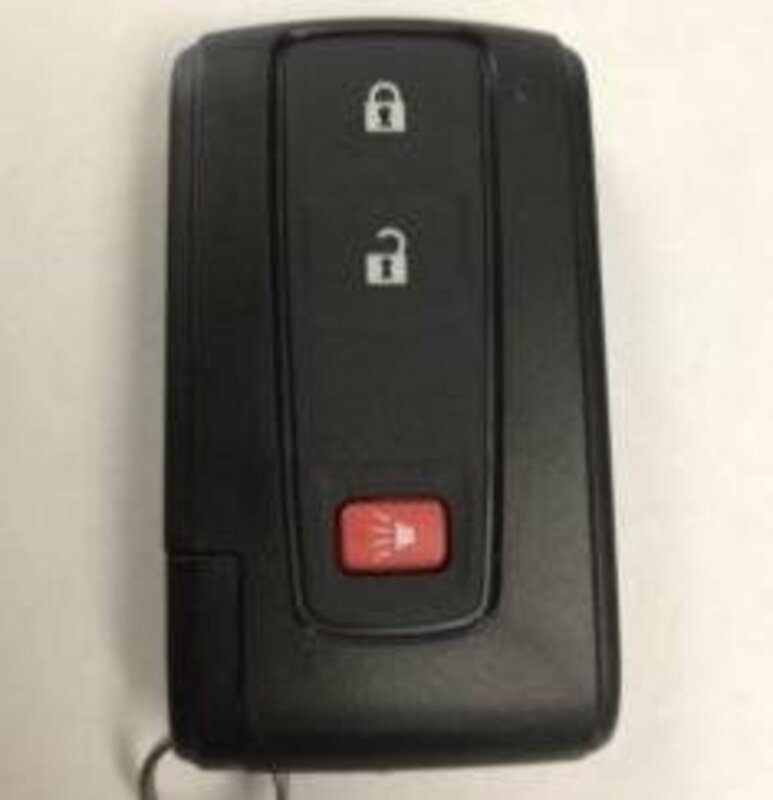 Try to find out the service/recall history on the vehicle. I am looking at purchasing a 2010 Mini convertible. It is for $16K and has 22K miles with brand new tires. It has had only one owner all of this time and no accidents. Is this a good price? I'm a bit concerned about what you said concerning expensive parts/labor. Should I be worried? I have had an 02 Cooper, 06 Cooper S Convertible and now drive a 2011 Countryman S. These are great cars. I have just reviewed all of my repair/maintenance activities for the Countryman. I had a lot of work done for the first 4 years under warranty. Since then it has just been oil, brakes, tires and a battery plus one oil sensor. I have a mechanic in AZ that used to work at the Mini dealer and he is awesome. The car runs great and I am itching to buy #4 so I can pass it on to my son. Take care of your Mini and it will take care of you. Buy a manual and you can't help but smile every time you walk towards your car! Having so much fun driving should be illegal. My keys don't work. Can't gas up door won't open. Running on empty. It is, but you could get lucky. I know someone who owns a Mini and it's been running perfectly for years. However, mine did not in a shorter period of time. So it's a roll of the dice. What a disappointment on this Mini vehicle. 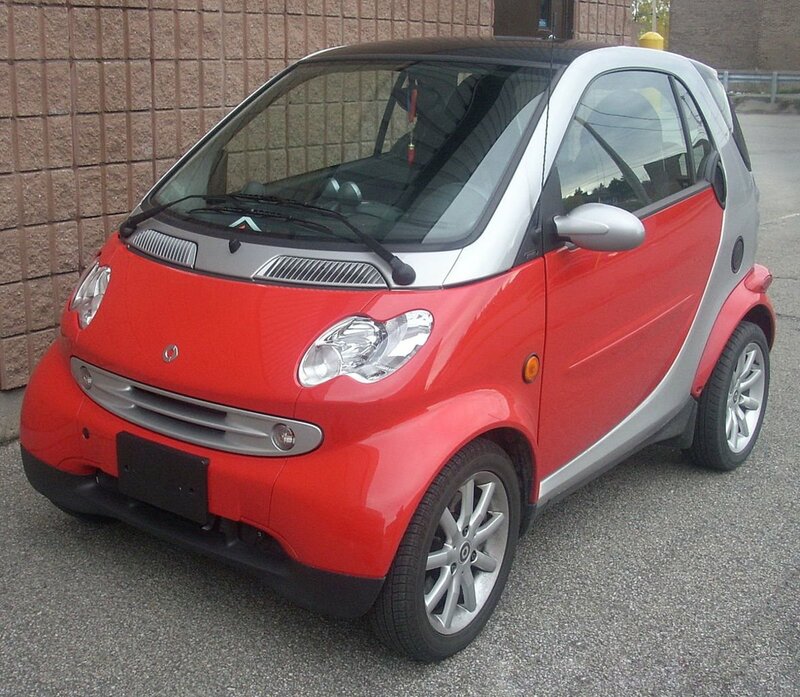 I was thinking of getting a new Cooper but after researching this car on various Mini forums I decided not to get one. To me, this is a problematic car and coming from BMW is a joke! I had to take mine to the dealership I purchased it from, then another dealership that was a bit closer. Still, it was a long trip and make it a difficult process. They say if you love your Mini you should also love your Mini repairs. How do you ensure that your Mini ends up in the hands of experienced technicians though? Love your idea in here sir! I don't think anything is wrong with it, per se, just it's a style I don't think fits the Mini brand. But I know it's a popular model none the less. I am looking at a Mini Convertible! What is wrong with the this style? Agreed, which is why I turned mine in. It was hard to maintain it since there was no local dealership and the local auto shops didn't quite understand the vehicle. These are great cars but they must be treated as what they are - European cars that require a high level of routine maintenance. If your follow the MINI maintenance schedule or Condition Based Maintenance indicator your car will be destined to have many very expensive repairs. Oil changes should be at 5K, brake fluid every 2 years, coolant every 3 years, gearbox or transmission fluid every 30K, spark plugs at 60K for S models, and air filters as needed. This doesn't sound like a lot, but even routine maintenance is very expensive on these cars. About 2x what an American or Japanese car costs. @Viki No information on the newer models, though I know they tend to be more reliable than the older models. They learned from their mistakes (though mine I did have issues). @kevin I'd be more worried about mechanical issues. 2007 is a fairly old model, so you can expect some issues to crop up within a few years I bet. So it's a risky buy depending on the price you are being offered. Im looking to buy a mini. Its a 2007 cooper with 62,000 miles. the car fax says there are have been no issues with previous buyers and it only comes with a corrosion warranty. It seems to not have any rust from the pictures ,but is this something I should be worried about? Loved this review. Being a person who knows nothing about cars and wanting to get mini cooper, you increased my confidence. Thank you. I am the author of this article, and as much as I love the look and feel of a Mini, I can't recommend them. Mine started to have issues fairly quickly, and with the 1.5 hour drive to the closest dealership, it wasn't cost effective. Plus, I was never advised of a recall on a part that could have lead to serious problems with my car. If you want to risk it, then go for it, but buyer beware. I am about to purchase countryman model but still thinking of it as worried about the long term cost of maintenance as this will be costly affair. Is there anyone can let me know an honest answer of this issue? to own or not to own? i bought a Mini Cooper 6 months ago. The dealership wasn't local so they bought the car over to test drive and took my Mazda mx5 to value. I was allowed to go to the Lake District for the weekend..over 2 hours drive each way, but fell in love with it within 30 mins. When they came to collect the mini and bought mine back I was unhappy...so when the salesman asked me if I wanted to buy one I asked to buy the one I drove. Very happy with the vehicle...I had it checked today for the ambient lighting...it was me messing that had caused the problem...but they sent me a video showing they had checked the tyres and brakes as standard and Even valeted the vehicle...didn't cost me anything. Very pleased. A very interesting article. I certainly liked the structure and how certain capsules were placed. Although I enjoyed reading, it didn't persuade me at all into believing that owning a Mini is beneficial. I mean, at that price you can get a faster, easier to take care of and probably more reliable car (e.g. Volkswagen GTI). No offence to Mini Cooper drivers but paying extra thousands of dollars to add some "unique" aspects to it is absolutely ridiculous, a rip-off to be accurate. Apart from that, I haven't seen any "extreme drifting" or high performance Mini cars "known for their speed". Correct me if I'm wrong. I bought a Mini in Nov., 2002, a Green 2003 CooperS. I bought it because I had just paid off my student loans. I enjoy driving mine. It handles like a very peppy gokart. I only drive it in the summer and store it in the winter (live in northwestern PA with a ton of snow). I still enjoy driving it and usually can get another person to ride with me without any problem. It is tough to get a 3rd or 4th person to join us because no adult wants to sit in the small back seat. As the car has aged, I have noticed that the ride had gotten a little harsher and noisier. While the car is fun to drive, it is not much fun to ride in on long trips. My goal is to keep it until I can put antique or classic plates on. Drive on. Didn't Kevin Arnold use to ride one of these in The Wonder Years? Great hub, David. I didn't know there were different kinds of mini coopers out there. Thanks for sharing this hub on this expensive car. Voted up for interesting! Congrats on HOTD! I see Mini Coopers on the road fairly often around here and I think they're adorable. I had no idea that MINIs were available in the various models that you described. Glad you're enjoying yours. Congratulations on HOTD! I have own my Mini Cooper for 4 years now and still love it. It has become our main car. Minis sure are fun to drive, that's the part I like. Really, this is a great review on these little cars. Congrats on HOTD! Oil problems I haven't heard about, but there seems to be consistent technical issues. I would expect the check engine light to go on, but I would take it in for yearly maintenance for them to solve issues like that. Don't trust what they tell you either. They may say that issues like that have been resolved, but that isn't true. It's a gamble. Hi David, this is a great and honest write up. I am still looking to own my first Mini Cooper and really worried about the after warranty cost. I am eyeing 2014 models because of the technology it has. However, the resale value is still up there. I can't wait for my bucket list to happen. Any feedback on 2014 models like oil problems and check engine lights which are difficult to being unable to be repaired like the 08 and lower models? You know, if dealerships are really friendly and establish relationships with you, then they're likely to keep you as a customer. It's amazing how many don't get that. I started shopping for a New Beetle (this was back in 2000) about six months before I wanted to get one. I went to the VW dealership and test-drove a turbo. I had a great rapport with the salesman and when I was ready, I had promised him that I would buy the car from him. All these years later I still remember all that. The Mini is certainly an iconic car. I have been somewhat perturbed by Mini's recent insistence in making larger vehicles. It gets a way from the core concept, which is "Mini":) Wonderful overview on a very interesting vehicle. With all the pros and cons it looks being an owner of Mini still shows class. It's obviously not a car, it's part of the lifestyle. Thanks for sharing your experience. Exceptional review of this car! It's always good to hear from a real buyer. Enjoyed and voted up.